RECTT – Regina Engineering Students' Society, Inc.
Regina Engineering Concrete Toboggan Team (RECTT) is a diverse engineering group on campus made up of students from all engineering disciplines. The team is tasked with designing and manufacturing a toboggan frame made of aluminium, steel or other durable material which is equipped with completely concrete skis. The design of the toboggan, skis and concrete mix incorporates both mechanical and civil engineering analysis. 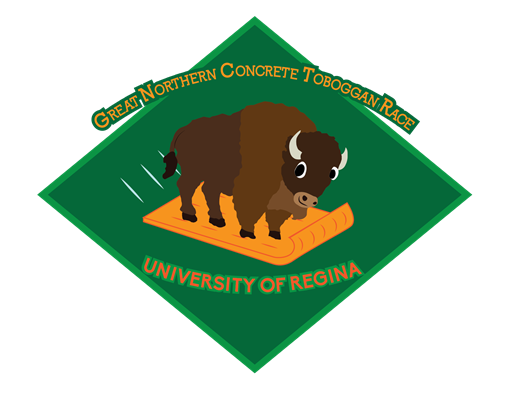 Once complete the team takes the toboggan to the annual Great Northern Concrete Toboggan Race (GNCTR) to compete against over 20 engineering schools from across Canada made up of over 400 students. GNCTR is the largest and longest running engineering competition in Canada.